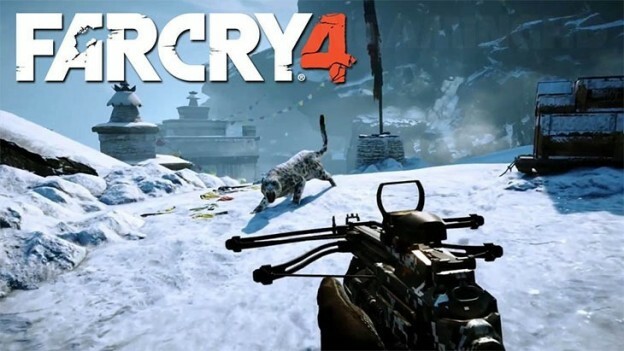 While wandering throughout the open world of Kyrat and completing numerous missions, Far Cry 4 fans can accomplish 50 achievements. In addition to different activities like killing enemies, finding collectibles or crafting items, these leaked achievements reveal some secret content as well. Ubisoft’s Far Cry 4 recent leak unveils the list of achievement available in the game. The leak sheds some light on the secret content. The open world of Kyrat will be available in the Far Cry 4 co-op mode. Activision seems to have learned from Far Cry 3’s mistakes, where the restricted co-op world was not so popular among the players. Far Cry 4 collector’s edition is titled Kyrat Edition, and fans of this franchise can order it for $130. In addition to exclusive game content Hurk’s Redemption and weapon, Collector’s box comes loaded with Map of Kyrat, Travel Journal, Propaganda poster, and Pagan Min figurine. Far Cry 4 is scheduled to be released in North America and Europe on November 18th, 2014, followed by Australia on November, 20th.